Streisand earned raves for her role in the 1976 version of the film, so you know she had something to say. When it came to making “A Star Is Born,” Lady Gaga got tips from someone who knows a thing or two about the movie. Barbra Streisand, who starred in the 1976 version of the film, was asked if Gaga approached her for advice about the film. So, did she? "Yeah, a little bit, I told her to do it live, and she wanted to do it live, so that's good because that's the best way to do it," Streisand told E! News. 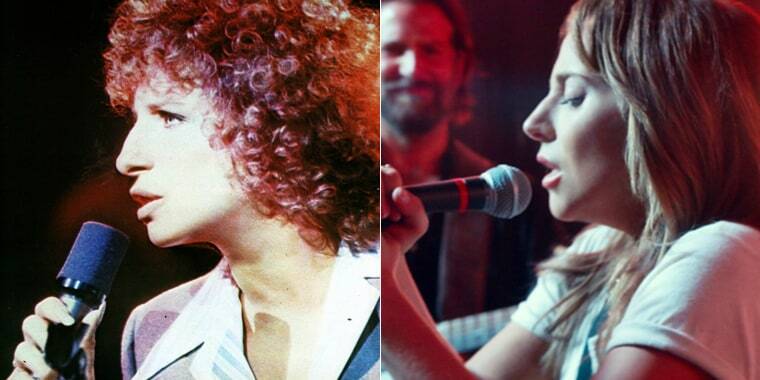 This latest “A Star Is Born” — the third remake of the classic picture — stars Bradley Cooper as a rock star who discovers, and then falls in love with, a singer, played by Gaga. Streisand, who has seen the highly anticipated flick, cautioned that Gaga’s music is not the same as hers, though. "Their songs are different," she said. The story may also feature some added wrinkles this time around, which suits Streisand just fine. “It starts like my old movie, with the concert and he goes to a club and finds her. But they were able to put some new things in it which I liked." Streisand, whose “Evergreen” from her version of “A Star Is Born” earned her an Academy Award for best song, gave the remake an enthusiastic thumbs-up: “It's a good movie, it's gonna be a hit." Streisand may not be involved in the new “A Star Is Born,” but she is still keeping busy. Her new album, “Walls,” comes out Nov. 2.